There’s just a handful of companies in the market today that can attest to surviving the wide-scale adoption of technology into the sales and media-consumption segments of the economy. Cineplex Inc. (TSX:CGX) is one such company. It continues to impress me. Most will recognize Cineplex as the name behind the largest chain of movie theatres in the country, but there’s much more than just the movie and popcorn business that Cineplex relies on during earnings time. Isn’t the movie screen business model dead already? Whether it’s streaming media over a smartphone, tablet, or smart TV, there’s a nearly unlimited number of devices and screens at the disposal of consumers to stream movies instead of going into a theatre, and often at a lower cost. 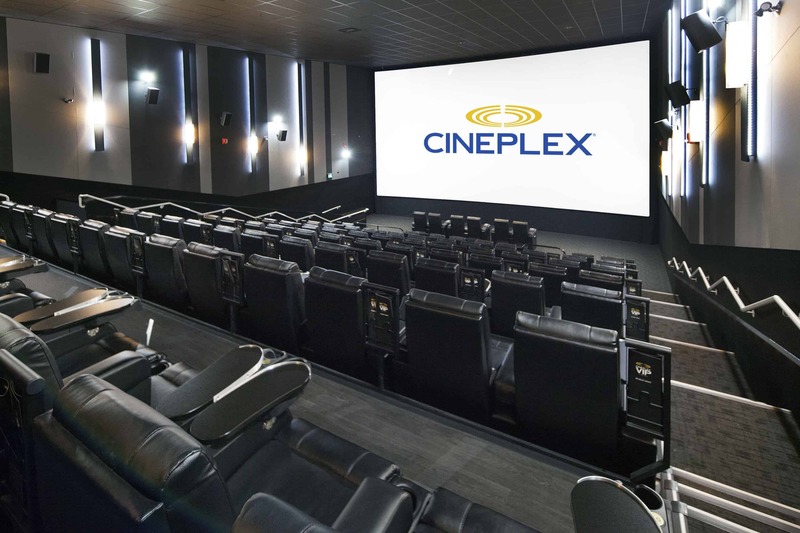 Cineplex has undergone a several initiatives in recent years; it takes an aspect of the business, such as the big screen, the concessions offered, the seating experience, and even the real estate itself, and then created an entirely new source of revenue for the company. Cineplex’s VIP experience comes to mind as a primary example of this. Cineplex installed wider, recliner-style seats into some theatres, a high-end waiting area, and chef-inspired menu. The experience comes at a higher price point, but so far consumers are willing to pay more for the additional space and better concessions. The Rec Room concept is another recent example. Cineplex has started rolling out these configurable rooms across the country which can host anything from small gatherings to large corporate-sponsored events. By doing this, Cineplex keeps customers on the property longer than the duration of a movie and can offer concessions throughout the entire time. Another area that has blossomed over the past year is in the realm of eSports. There is a growing market for hosting online-gaming parties. The industry is still arguably in its infancy in Canada, but in other countries, a hosted gaming competition can attract crowds of thousands with revenue potential in the billions. Cineplex has already started hosting some of these events thanks to the acquisition of World Gaming a few years back. Finally, there’s Cineplex’s digital media business. You may have noticed a growing trend in fast-food outlets across the country — old menu signage is slowly being replaced with digital screens. What you may not have realized is that Cineplex’s digital media business is responsible for that screen business, and it has recorded multiple consecutive quarters of growth for the company. While these initiatives are great, and arguably make Cineplex a great investment, the core movie business hasn’t performed too badly in recent quarters thanks to Hollywood releases that have broken attendance and box office records. The Avengers and Star Wars franchises have been very successful in recent years, and 2017 will see additional installments to both franchises as well as sequels to no less than a dozen popular movies that will likely shatter records again. If the diversified business offering and strong upcoming release schedule won’t turn you on to Cineplex, perhaps the dividend will. Cineplex pays a monthly dividend in the amount of $0.0135, which results in a yield of 3.10% at the current price. While there are those that will claim Cineplex no longer represents the same value the company once did, in my opinion, Cineplex remains a strong long-term investment for the investor that wants a monthly dividend from a stock they can buy and forget.